Description: Nagyrakos a very small village in Vas county (Hungary). This is in the Őrség region, one step after the end of the world, 277 inhabitants. This tiny Protestant church was built in 1800. The organ was built by the Angster organ factory in 1938. It was one of the first electro-pneumatic organ of the Angster Organ Factory. 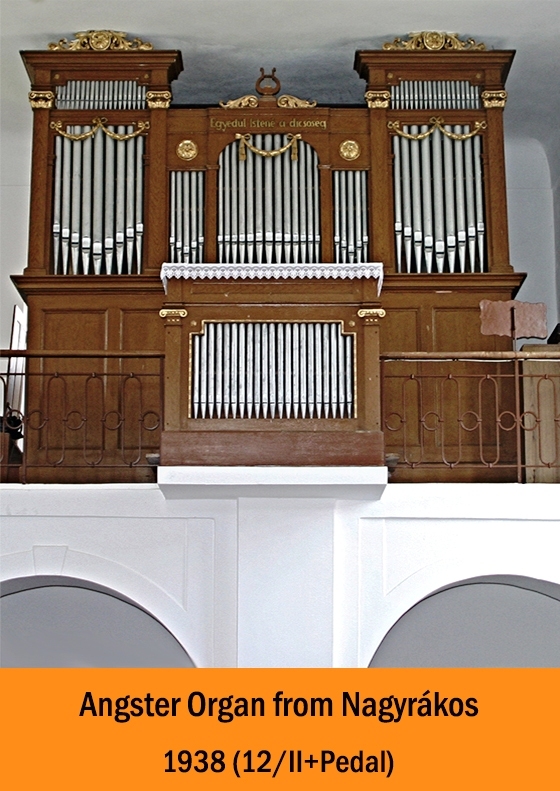 The small two-manual organ was hardly used and has never been renovated or repaired. Thus, it is regarded as a completely authentic instrument. The organ is surprisingly good condition, except for the mixed registers.